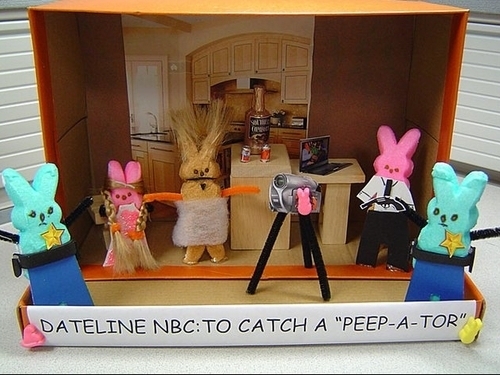 To Catch A Peepator. . Wallpaper and background images in the marshmallow Peeps club tagged: marshmallow image peeps parody nbc catch preditor show funny.